Mr Bru Cru: Red Air Yeezy II: Released. 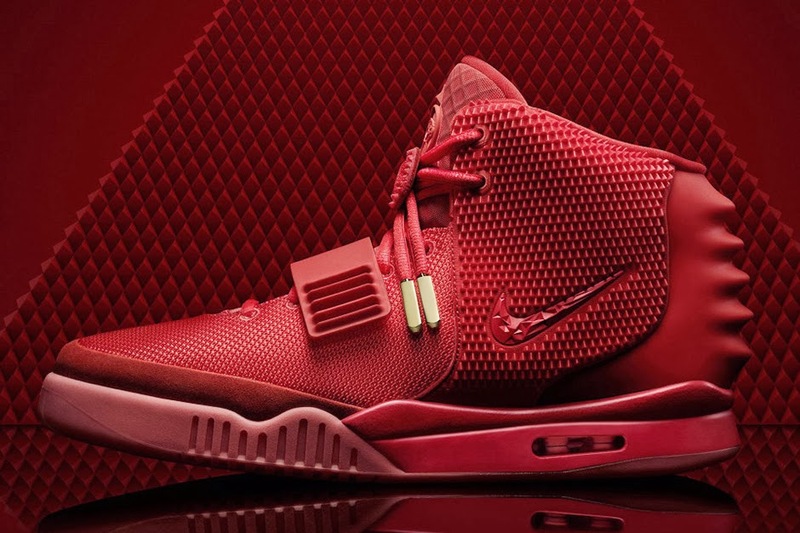 Red Air Yeezy II: Released. In news that will mess up your mood, Nike pulled a Beyonce yesterday afternoon. After months of speculation and false release dates, Nike dropped a bomb and simply tweeted (without prior warning) that the Air Yeezy II's in all red were available on Nike.com. The sneakers sold out about 10 minutes later. Nike's Twitter mentions were in shambles, the sneaker community was both confused and annoyed. Some of us laughed and I'm sure some of you cried. The site eBay shows the sneaker has already hit RIDICULOUS resell prices. Good luck to you all if you intend on purchasing.